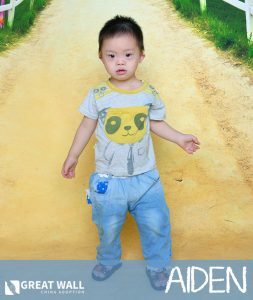 Aiden is a precious 3-year-old boy who was born with Down syndrome. He is described as being a bright, extroverted and happy kiddo! He loves to be around people, and he’s happiest when he’s playing with other children. His file indicates that he is attached to his caretakers and likes having their attention. Aiden loves to watch cartoon movies and play with toys. He does not appear to have any mobility delays and can walk independently. GWCA is working on requesting an update on Aiden! Please contact us if you would like to learn more about him. 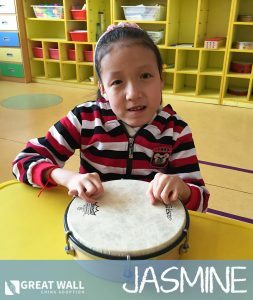 Jasmine is a precious 11-year-old girl who was born with congenital scoliosis and malformations of her limbs. Her file was last updated in 2014, so the information we currently have for her is slightly outdated. According to her file, Jasmine requires a wheelchair when going outside and a little assistance with some daily tasks. Despite the differences of her hands, Jasmine is able to complete puzzles, dress herself, feed herself, and turn the pages of a book. She is described as being a bright little girl who loves to help her teachers at school. Jasmine loves to read picture books and tell stories to other kiddos. If you’d like to learn more about her, contact us at GWCA today! Chase is an adorable kiddo who is 8 years old. He was born with a facial hemangioma and has hemiplegia on the right side of his body. However, his facial hemangioma does not cause him any pain. His caretakers note that he walks well, and his right arm moves freely and can support light weight. He is currently receiving massage rehabilitation treatment for his hemiplegia. 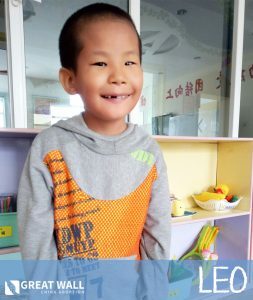 Chase attends school in the orphanage, and he has learned to write! He speaks a little slower than his peers, but he is able to express his needs, answer questions, and follow directions. Chase has been described as a self-independent and obedient boy who loves to help his caretakers and teachers! He expressed that he wants to be adopted. It has been noted that his eyes will shine when talking about having a mom and dad. 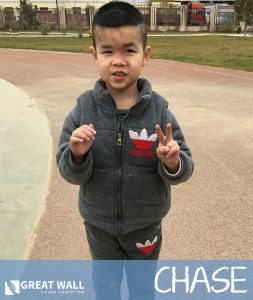 Chase is a sweet, little boy who is in need of a forever family! Please contact one of our matching specialists today if you’d like to learn more about him! Click Here to Watch Chase’s New Video!